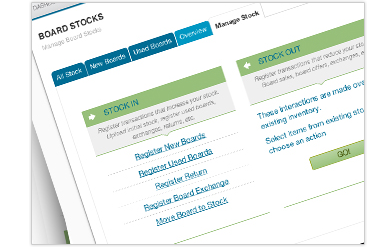 Board Stock Management	Simplified stock board management	The right tools to control and manage surfboard stocks, from new production boards to clients’ trade ins. Everything you need to takeover and takeoff with great stock control. 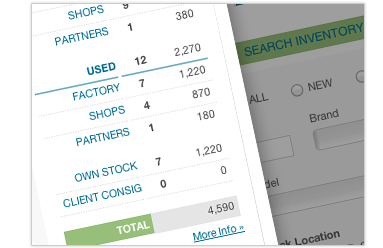 No more dead stocks	Up to date stock information at a glance. Shaperbuddy lets you know the exact number of boards under management, new or used, their cost value and the time they’ve been sitting still, allowing for prompt sales action. Know your numbers	Your stocks are maintained in one central place where you can easily get from anywhere. Know the exact value and number of boards in stock under your roof or in each different partner at all times. Stock location	Track and control your stock easy. Shaperbuddy lets you stock in different locations with full control. You’ll know where your boards are. Different warehouses, borrowed boards, consignments, team and even sold boards get dialed. 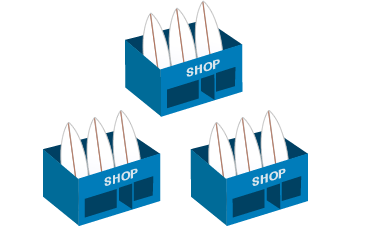 Easy consignment control	Track and manage boards under different consignment locations easy with Shaperbuddy. Control which boards where placed as consignments while informing your audience of that stock location. 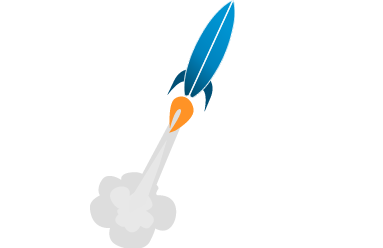 Boost partner’s sales and reinforce business relations. 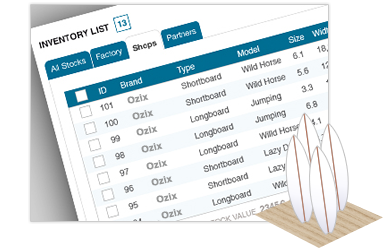 Boost your sales	Shaperbuddy allows you to leverage production while boosting direct and stockists sales. 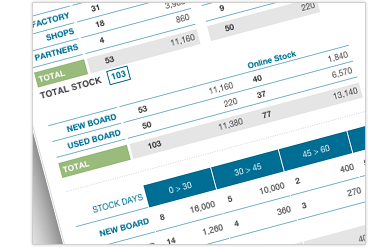 Here’s how…board stocks go live over different channels, there’s control over retailers stock or consignments allowing you to push new product upon sales and detailed reporting over stocks. Everything works together to increase stock performance and business sales. All stock movements. Easy. Know exactly what stock is coming in and going out. New production into stock, stock sales, trade ins coming in and out, borrowed boards, team boards, returns, exchanges, stock transfers to different warehouses or refunds. We got it all covered.